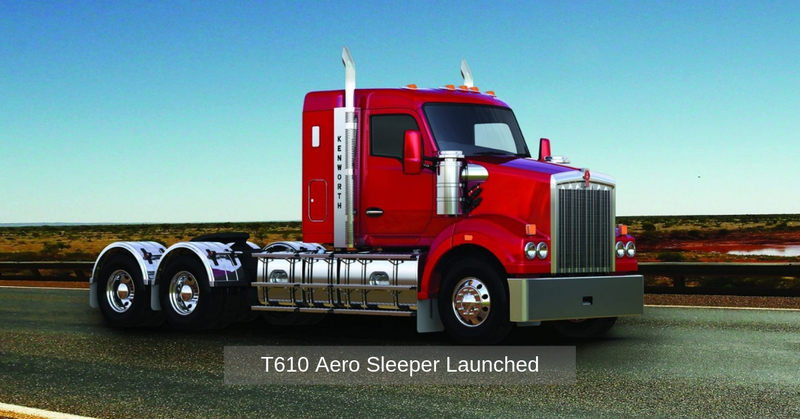 Kenworth improved their existing fleet of trucks with the all new T610 Aero Sleeper that was added to the truck market early 2019. The sleeper promises to offer a vehicle specifically designed for the Australian market. Kenworth is an Australian automobile company which specialises in the production of semi – trucks. The company has operated in the market from as early as 1960. The company has made thousands of trucks since then, operating in the Australian market and always being at the forefront of innovation within the industry. Sleepers are becoming an increasingly popular variation of the truck. Sleepers are trucks that offer a small space for sleeping and maybe even other small facilities; they are almost like RV’s but with much less space and fewer facilities. They are becoming more and more popular since they offer convenience as well as lower costs. Truckers, especially those on long trips, can rest at will by just parking off the road and taking a few minutes to relax. Furthermore, before sleepers gained their popularity, truckers would be forced to take very specific stops and thus time would be lost. For example, a trucker would be forced to take a stop at 4pm because the next stop would be too far away to complete on the same day. Sleepers offer the driver the chance to drive as much as they can then find an appropriate place to sleep. 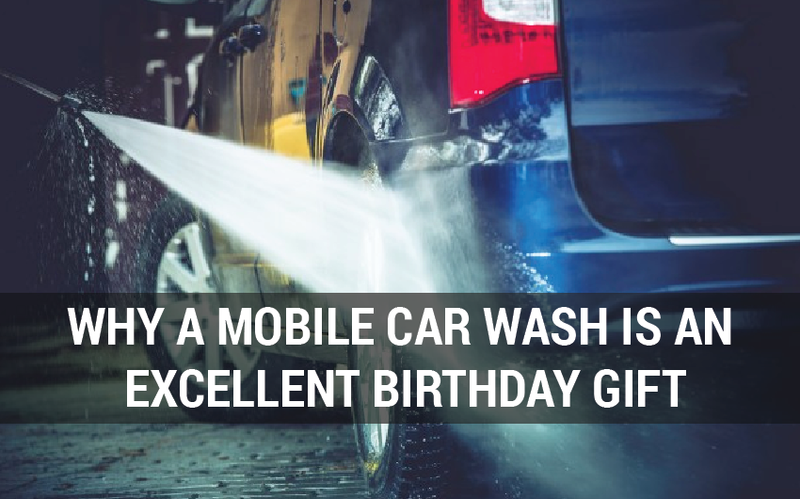 By offering this convenience to drivers, they help in lowering costs. The trucks offer the driver an option to avoid hoteling or lodging as well as offering the driver more time on the road. Collectively, the sum of these benefits presents the driver with a lower cost for their journeys. Other than the cost of the truck, we should also look at the functional differences in operating sleeper trucks. Generally, when compared to their counterpart truck without any sleeping facilities, sleepers use up a bit more fuel. Furthermore, sleeper trucks generally have longer chassis than their counterpart trucks without any sleeping quarters. This implies that turning radii for drivers are generally worse. However, considering that the vehicles operate within Australian roads, then this shouldn’t quite a problem. With a bigger focus on designing a vehicle specifically for the Australian driver, the vehicles deliver more space, better visibility and better ergonomics. Naturally, these features just make for a better driving experience for the driver overall as well as increased efficiency. The truck is also considered to offer improved fuel efficiency, meaning that the truck generally consumes less fuel per kilometre. The Aero Sleeper offers open shelving, a windscreen privacy curtain, right as well as left sleeper vents, foam mattresses with hinged pan for under – bunk storage and a sleeper blackout curtain. Kenworth also offers variations of the truck with an optional under – bunk storage as well as a 42 – litre fridge. In a statement, Kenworth stated that the truck is the hard result of one hundred thousand Australian design hours as well as well over ten million kilometres of validation as well as testing. Kenworth also stated that, to date, the T610 is single largest investment the company has made in Australia regarding product development. With a new improved vehicle design the Aero T610 offers improved durability and consequently, a reduced need for truck spares. This brings the truck’s overall lifetime costs down. 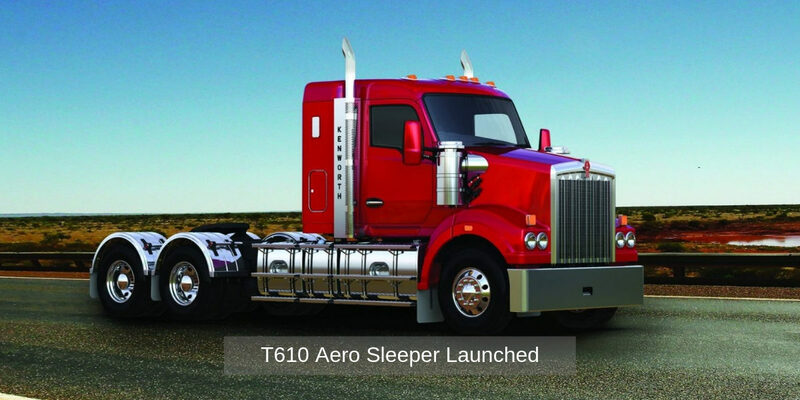 Generally, with the inception and development of the T610, Kenworth are ushering a new age of sleeper trucks that have improved fuel efficiency, maximized vehicle ergonomics and maintained the main purpose of sleeper trucks for maintenance of convenience for drivers. With the aim of the product being the Australian market, the T610 will definitely become a staple among truckers.